Not much in the way of witty banter today, just a pretty shot. This image was take from the same location as the image in my “I am and island” post. There was a total of 4 minutes between the shots so not much changed. It does underscore just how many compositional opportunities exist in this often photographed location. 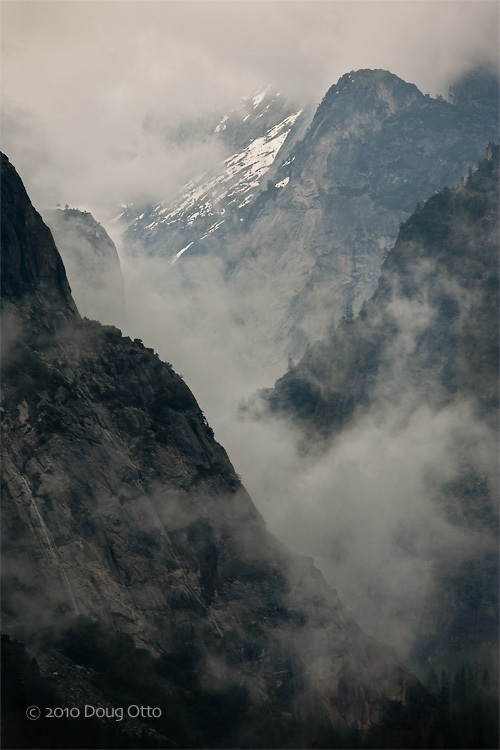 This entry was posted in Photography and tagged Canon 100-400, Cloud's Rest, doug otto, Photography, tunnel view, yosemite, yosemite national park. Bookmark the permalink. Now this evokes emotion.. beautiful!! Love your site(s).. I am in learning and look forward to some education. Thanks for sharing your knowledge!